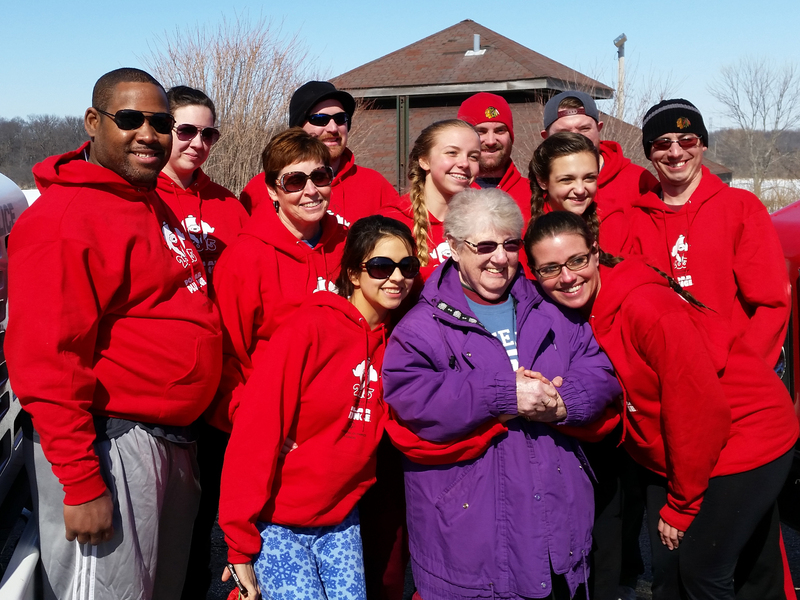 Editor’s note: Kara Smith recently shared this story with Special Olympics Illinois. If you would like to share a story about how Special Olympics Illinois has transformed your life, please visit www.soill.org/share-your-story. I never thought that the passing of someone’s life could truly live on in others, until I participated in my first Polar Plunge in 2014. I decided to join Team Muzzy, along with my boyfriend, some of his family, and a few friends. I had no idea what I was about to do, what I was going to see, or how I was going to feel. All I knew was that I was going to jump into the freezing cold waters at Olson Lake in Rockford. We arrived at Rock Cut State Park, and there was such a sense of anticipation between fellow jumpers. And there was so much excitement! I knew that I was in the right place, and that I was doing the right thing. Seeing the love on some of the Special Olympics Athletes’ faces truly warmed my heart. We hear the National Anthem, and a couple heart warming speeches, and off we go! Our team gets hyped up on the shores on the icy cold waters, and we get our clear to jump in…and so we did! I conquered my fears, and ran in with my team! I won’t lie…it was an experience…one I will never forget, and I one that I can’t wait to feel for years to come! I know our team had Brad Muzzarelli watching over us, keeping us safe…maybe even having a few laughs at our silliness, a quality, I think Brad would have wanted us to be showing! I hadn’t been faced with having someone in my family who had participated in the Special Olympics, so I didn’t know a lot about it, but I can truly say that I have learned so much about how it helps! My boyfriend’s uncle, Brad Muzzarelli, who passed away on June 21, 2009, is the reason that our team was formed. He is the reason we raise as much money as we can for such an amazing organization! I did not get the chance to meet Brad, because he passed before I was able to meet the Muzzarelli family, but the stories that I have heard of his life, and his love for his family, his friends, and especially his community, are memories that will live on forever, in each of us. We are truly blessed to have the opportunity to be involved and raise funds for the Special Olympics! Special Olympics Illinois has truly given me the opportunity to raise funds for such an amazing cause! When I was younger, I was always told that I should do some kind of work with children, older adults, or people with Special Needs. I had never really given it much thought, until I was given the chance to work with children at a local elementary school when I was in high school. I have always gravitated towards people, I just love being around all kinds of people! I love hearing their stories, and learning about who they are! 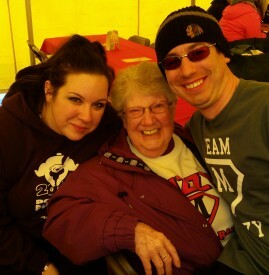 It wasn’t until I was given the chance to be a part of the Polar Plunge, that I truly learned a lot about who I AM! The Special Olympics is an amazing organization, one that I hope to assist with more, now that I am learning so much more about it! I look forward to volunteering more, and raising as much money as I can to make sure that no athlete is left out! And that every athlete is able to participate in everything they want! 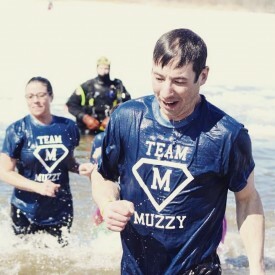 Team Muzzy will be plunging again this year at noon Saturday, March 5, at Olson Lake, Rock Cut State Park in Rockford. 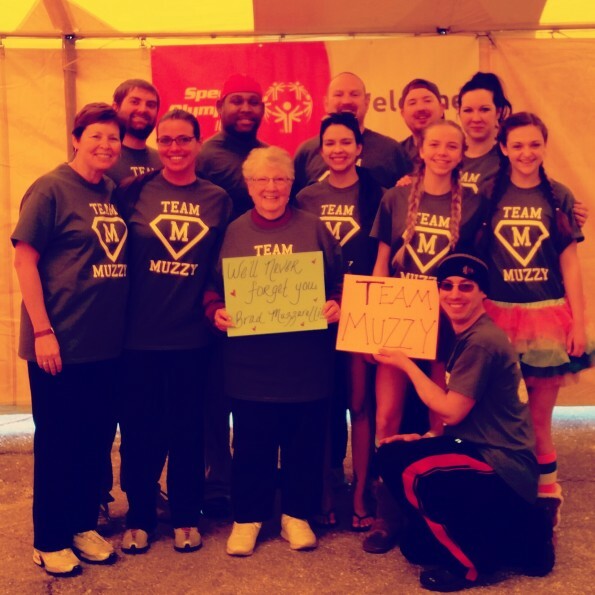 If you are interested in joining the Team Muzzy for the Rockford Plunge or want to plunge at any of Illinois’s 21 locations, visit PlungeIllinois.com.